I can’t believe it’s August already, but here’s another trend to try when the sun is still shining bright ladies. Rompers are really easy to wear because your entire outfit is already pieced together. I call this cheating when dressing just like wearing dresses; I don’t have to think about putting a top and bottom together so this is a perfect trend for those summer day errands and nights out on the town. Both printed and plain rompers are their own statement, so don’t worry too much about accessorizing as well. Keep it simple and comfortable. 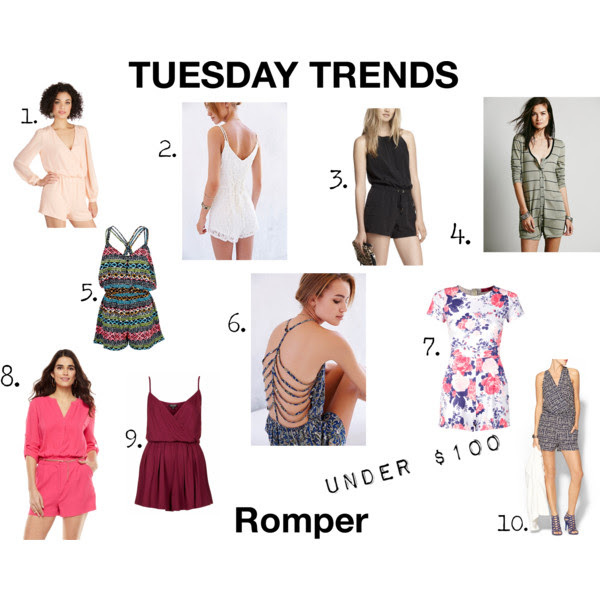 Check out my favorite rompers under $100.